(b. 1944) – a prose writer and playwright. He debuted with a novel diptych Stankiewicz. Powrót [Stankiewicz. Return] in 1984. 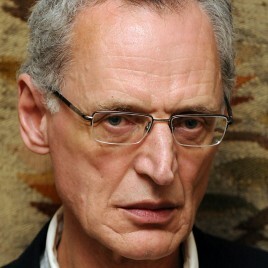 In the following years, he published a number of plays: Chłodna jesień [Cold Autumn, 1990], Zapach wistarii [An Aroma of Wistaria, 1991], Netta (1997), Co nie jest snem [What Is Not a Dream, 1999] and Sprawa honoru [A Matter of Honour, 2003]. His return to prose brought four more novels: Człowiek w cieniu [The Man in the Shadow, 2004], Warunek [Condition, 2005], Na Grobli [On a Dyke, 2010] oraz Obok Julii [Beside Julia, 2013]. He was nominated for the most important literary awards, including Nike, Angelus and the Silesian Literary Laurel. He received the Józef Mackiewicz Literary Award in 2005, the Samuel Bogumił Linde Award of Toruń and Göttingen Twinning Cities in 2013, and the Warsaw City Literary Award in 2016. He writes screenplays for the Polish TV Theatre. He is also the author of three volumes of short stories: Tylko chłód [Only Cold, 1987], Wyspa [An Island, 2007] i Szara lotka [A Grey Quill, 2014] and literary impressions Po śniadaniu [After Breakfast, 2009].